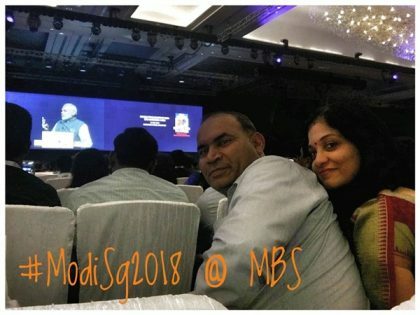 On 31st May, for the first time I was physically present to hear Prime Minister Modi live at an event. I passed an opportunity to be standing right where he would walk in and shake hands with people simply because I did not want to be that fan who screams like a besotted dumbo. The brain, the brain – use your brain said my brain. Go sedately and listen to his speech said the brain. And so I focussed on reaching on time for the registration, security check and finding the best seats in the gigantic hall at the iconic Marina Bay Sands which can seat over 2,000 people (though I hear some 4,500 people were present). My husband joined later after finishing his office meetings. 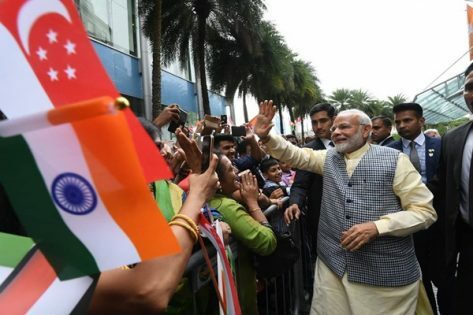 India’s partnership with Singapore is growing stronger! 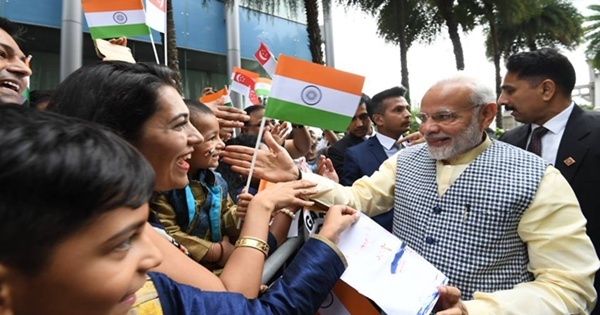 Watch my speech at the community programme in Singapore.